You are here: Home / Latest News / News / It’s time to get out in the garden. Spring is here! The weather is changing! It’s time to get out in the garden. With the days starting to warm up and daylight lasting that little bit longer, it’s time to get out in the garden. 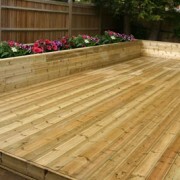 We have everything you need to start landscaping your garden and getting ready for the summer. 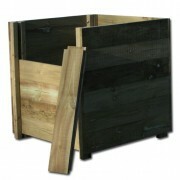 Tate Fencing Compost Bin designed by Telegraph Gardening writer, Helen Yemm. 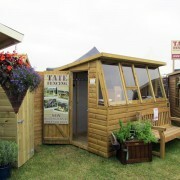 The Garden Potting Shed has been designed to fulfil your gardening and garden storage needs. With two shelves in this garden building, you will have ample space for your plants and potting needs while the footprint allows you to store all your garden tools and accessories. Includes opening window and single door. The perfect addition to any garden, these planters are made from Tanalised softwood and available in a range of sizes in either square or rectangular shapes. 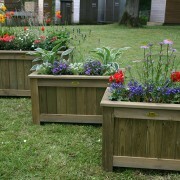 Wisley garden planters are the perfect addition to any garden, patio or decking area. 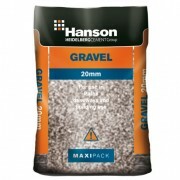 10mm gravel and 20mm gravel available from stock. In small and bulk bags. 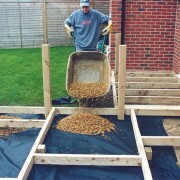 Can be used for Paths, Driveways, Footings, Paths, Steps, Setting Posts and many other landscaping applications.